Dominick Fernow's Vatican Shadow returns with a new double-pack for his own Hospital Productions imprint following on from the recent Rubbish Of The Floodwaters 12" for Ostgut Ton (OSTGUT 104EP). Luxor Necropolitics was once again produced by Joshua Eustis of Telefon Tel Aviv, and it includes a super rare remix from Female of Sandwell District fame. Clocking in at almost 40 minutes, this is the most substantial Vatican Shadow release since 2016's Media In The Service Of Terror LP (HOS 472LP) and further develops Fernow's creative collaboration with Eustis, who provides a much more lean and dynamic sheen to those highly atmospheric foundations. 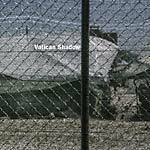 The opening, title track provides evocative exposition; this is Vatican Shadow at its most cinematic and unreal; before "Intel War" jolts with increased propulsion and bass pressure and a killer soundsystem focus deployed with precision and depth. "Crown Prince Hamza" is much more squashed and feral, before a new "Red Headband" version of "More Of The Same" takes the original into even more anthemic terrain; this is surely the most memorable, enduring, and club-focused Vatican Shadow track of all. As if to further etch it on your mind, the vinyl edition offers a final exclusive track, a reworking of "More Of The Same" from Female, who takes the original and duffs it up, completely discarding that synth hook and instead intensifying the menace, heading down a Sandwell-shaped cave that will reminds you why you've loved pretty much every Female production. Cut by Matt Colton at Alchemy. Edition of 700. 2019 repress. In time for the 20th anniversary of his label Hospital Productions, Dominick Fernow offers the first release of his techno-focused moniker Vatican Shadow on Ostgut Ton. The Cocteau Twins/This Mortal Coil-channeling, beatless widescreen opener "They Deserve Death" and the two collateral club/dancefloor tracks "Rubbish Of The Floodwaters" and "Weapons Inspection" offset each other by reincarnating the tape manipulation that laid the foundation of Vatican's first performances with analog hardware and minimalist midi-dissection. Produced with Josh Eustis. Artwork by Berlin-based photographer Christian Vagt, taken from his Softex series. 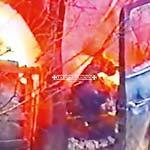 Dominick Fernow laces up his Vatican Shadow boots for the project's first set of drills since 2014 and one of its finest ever transmissions, trampling in the wake of his fierce new Prurient record, Unknown Rains (2016), for Hospital Productions. Reflecting on a world much unchanged, even intensified since his last dispatch, Media In The Service Of Terror works classic Vatican Shadow signatures, measured with increased momentum and propulsive energy, divided into seven parts and imbued with that dramatic melodic arrangements that works beyond the club. Stepping farther away from the floor, he's in scowling, contemplative form with "Ziad Jarrah Studied Mathematics" and at his best when working between spheres, as with the industrial reggaeton roil of "Take Vows" in both its versions, and particularly the pensile atmosphere of "Interrogation Mosaic". 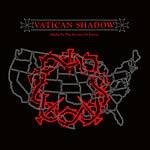 One of the best Vatican Shadow drops, bar none. Originally released as a limited cassette in June of 2016, this is Media In The Service Of Terror's first vinyl edition. Features new artwork. Cut at Dubplates & Mastering. Repressed, now in jewel case packaging. Death Is Unity With God finds Dominick Fernow returning to the kind of feral, burned-out productions that dominated 2012's Ornamented Walls (LOVE 080LP). This triple CD includes all the material included on the original 2014 limited six-cassette release of Death Is Unity With God, following Modern Love's double-LP edition containing 12 of the tracks (LOVE 100LP). 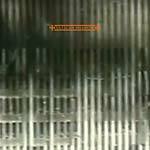 Nodding to classic Muslimgauze, but also inspired by the parallels between religious fundamentalism at home in the USA and abroad, the oppressive atmospheres and destroyed rhythms isolate the gutted toil and drone in "It's to Come," while "FBI God" reduces the drums to scorched blasts against some harrowing, darkside chords. The quasi-speed torment of "Manufactured Silencers Under Direct Orders" flows into the haunting chorales and chiming percussions of "Living On and Off At the Shadows Motel" and the scything techno roil of "Small Explosives and Blasting Caps Inside the Pages of a Phonebook," before a particularly effective chamber-like meditation, "McVeigh Figure," draws aesthetic lines between ambient black metal, Coil, and early Autechre. "Waco Postmortem (Murrah)" ends the set operating nearly out of earshot with those incredible, sashaying synth motifs persisting in their struggle against the patina of hiss and exasperated rhythms blurred around the edges. Mastered by Miles. 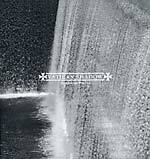 When You Are Crawling is a 35-minute companion piece to Vatican Shadow's recently released Remember Your Black Day (HOS 399CD/LP) album, the iconography and tracklisting concluding its narrative, with a musical focus more directly aimed at the club bolstered by additional production from Juan Mendez, aka Silent Servant. 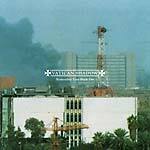 The centerpiece of the EP is "Atta's Apartment Slated for Demolition (Bouthayna Engineering)," a previously-unreleased 15-minute production that builds from tempered percussion to a more driving denouement. The EP also includes the previously-unreleased "Al Qaeda," plus an alternate version of the album's title-track. Mastered and cut by Matt Colton. Remember Your Black Day is the debut album proper from Vatican Shadow, the first material conceived and produced as a full-length by Dominick Fernow for the project following almost a dozen tapes (mostly released on Hospital Productions) and vinyl editions (released by the likes of Blackest Ever Black, Modern Love, and Type) over the last three years. None of the eight tracks included have been released before on any other format. At a time when the scene is saturated with "noise techno," the album is almost celebratory by contrast, balancing caustic licks of distortion and oppressive bass with cleanly mixed synth tones and ricocheting claps in a shell-shocked, surreal soundsphere. With production assistance from Juan Mendez (Silent Servant), the album includes the most direct and propulsive Vatican Shadow material yet, continuing an evolutionary shift away from the complex, collage-based narrative of those cassette releases into more visibly direct contact with the listener. There is a functional connection to dance music here, honing in on the human element embedded within a subject matter so fraught with inhumanity. "It Stands To Conceal contains the most recent Vatican Shadow cassettes on vinyl. This set includes Jordanian Descent, Ghosts Of Chechnya, and Atta's Apartment Slated for Demolition. 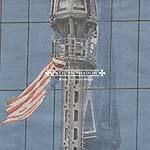 Total pressing of 911 copies with gatefold sleeve." 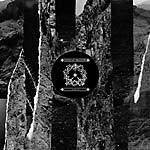 Ornamented Walls is the most intense, brutal and, in many senses, most substantial work from Dominick Fernow's Vatican Shadow project yet. Released to coincide with his first tour of Europe, the album incorporates the live mix rehearsals of "Operation Neptune Spear" with tracks made in their aftermath, recorded straight to tape and mastered by Matt Colton at Air Studios. Anyone familiar with Fernow's live set-up will recognize the distinct nature of this material -- making use of stems and partial tracks separated into a cassette system which is then re-layered and mixed, effected with electronic processing. In short -- Fernow uses his tape machines like turntables in a mix, weaving a hazy and intuitive narrative of sounds that never quite head in the direction you expect, all imbued with an almost feral attitude that's exhilarating to witness, their limitations (ever noticed how VS tracks end so abruptly? the tape ran out), and their mechanical machine qualities used to devastating effect. Side A features all three parts of "Operation Neptune Spear," originally made available in a measly edition of 17 cassettes and sold at the first-ever Vatican Shadow live show in L.A. back in May 2012. Side B features an additional 25 minutes of previously-unreleased work made in the aftermath of the show and using the same set-up, including an astonishing revision of "Cairo Is a Haunted City," dis-assembled and re-wired, lending it a shortwave quality that's nothing short of revelatory. Ornamented Walls is the fourth Vatican Shadow release to be made available on vinyl, following on from releases for Blackest Ever Black, Type and his own Bed of Nails imprint. 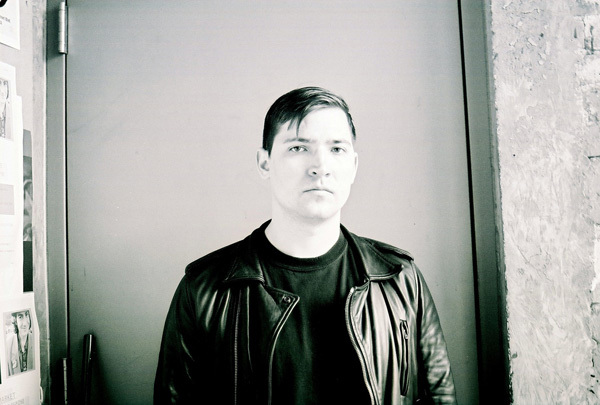 Bed Of Nails is a new label curated by Dominick Fernow of Vatican Shadow and Prurient fame. Operating from his recently-consecrated L.A. compound, the label will focus on his reorientation towards industrial dancefloor rhythms and seductively isolated electronics. Fernow christens the label with September Cell, a four track 12" loaded with some of his most direct dancefloor assaults to date. Think hollowed industrial percussion, gloaming synths and caustic noise painting bleakly evocative visions. Last copies of this now sold out edition.